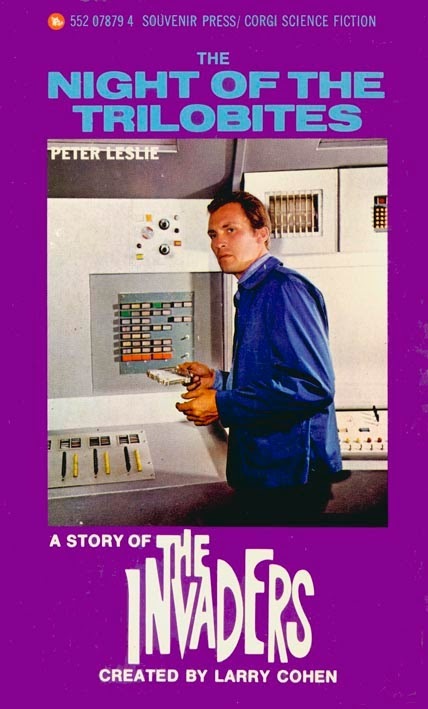 This tie-in novel for the 1960 sci-fi show The Invaders, written by Peter Leslie and set in Wales, features a gossip columnist with the unique name Trewithick Polgadden-Warr. Trewithick first appeared in Leslie's novel Deadline (written as by Patrick Macnee), a tie-in for the classic British spy show The Avengers. Since the latter show is firmly in the CU, so is The Invaders. Author Emmanuel Gorlier has also done two stories for Black Coat Press where a 17th century ancestor of Jean de La Hire's hero the Nyctalope encounters members of the alien race seen in The Invaders. I, very unwisely, parted with all of my TV tie-in paperbacks well over 20 years ago. Something I've regretted ever since. A lot of the stuff I sold back then is available in ebook format now, but I suspect these will never be, unless someone puts out an unofficial OCR copy.